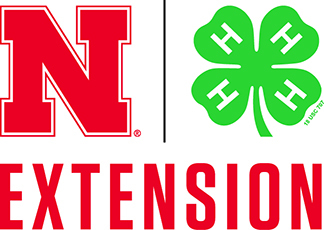 This YouTube video from UNL Extension discusses sensitive sites, pesticides and their impact on pollinators. There are also suggestions on what farmer’s can do to reduce the risks to pollinators if they choose to use certain pesticides and by leaving habitat, like tree lines. Buzz Vance (yes, his name really is Buzz) from the Nebraska Department of Agriculture explains the current situation. Buzz is also a beekeeper so he has a personal interest in making sure our pollinator populations are healthy. Near the end of the video is a segment on DriftWatch at https://driftwatch.org/ – an important tool for anyone with sensitive specialty crops and for producers using any pesticides around bees and other sensitive sites. Last week, we attended a Pollinators Workshop and Habitat Tour for Landowners. Very hands-on, very engaging – so glad we went!! Thanks to the folks with Pheasants Forever/Quail Forever, Nebraska Game & Parks, Natural Resources Conservation Service (NRCS) and Nebraska Environmental Trust for making it possible. The workshop was held at The Audubon Center at Spring Creek Prairie near Denton, Nebraska. If you haven’t had a chance to visit, please put the prairie on your bucket list! Less than 2 percent of the world’s original tallgrass prairie remains and we have our own preserve near Lincoln. It is an amazing place. We learned about beekeeping, butterflies and native bees, other pollinators and of course, their benefits. On our tours of the prairie, we identified insects and plants native to the prairie. It was extremely windy (not a surprise on a prairie), but it made it difficult to observe pollinators when they are “blowin’ in the wind”. We also observed plants blooming now. As for wildlife? Great pollinator habitat is obviously great habitat for wildlife as well. For information on how you can encourage pollinators on your farm or acreage, contact your local NRCS office. To celebrate Pollinator Week, June 17-23, I would like to tell you about my insect hotel. This is a fun and easy project that the whole family can be involved with. 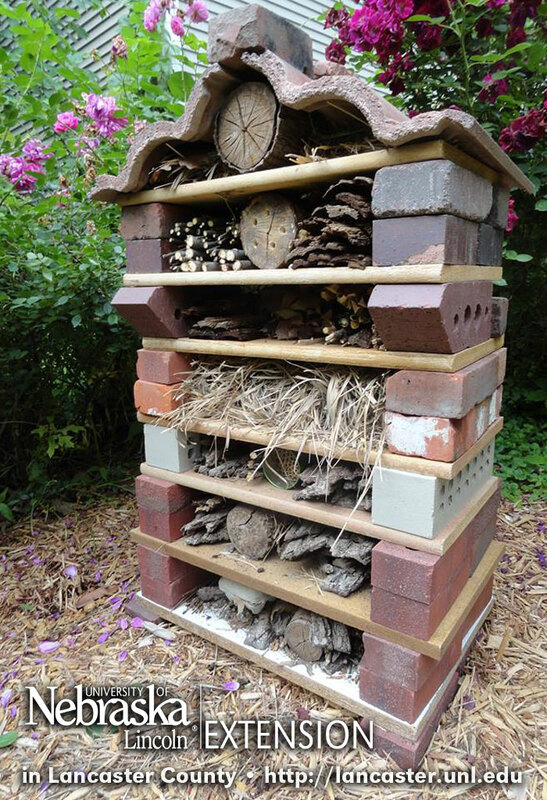 An insect hotel is a manmade structure created from mainly natural materials. They can come in a variety of shapes and sizes depending on the specific purpose or insect it is built for. Most hotels consist of several different sections that provide insects with nesting areas, offering shelter or refuge for many types of beneficial insects. I first saw this idea in a garden magazine earlier this year. I wanted to know more so I Google the concept and was amazed at what I found. Insect hotel are quite common in Europe and have been featured at the Chelsea Flower Show. I found a few site about them in the United States, but it is not a well known concept. I was also fascinated at how artistic the construction of them could be. After much research, I knew I wanted to build one in my own yard. I planned my design to fit the chosen place in my landscape. I began my search for supplies. I visited my local Eco Store and found everything I needed. I purchased 7 boards, 42 bricks (whole and broken) and 2 large Spanish style roof tiles to construct my insect hotel. Total cost was $18. The dimensions of my insect hotel are: 42 in tall, 24 in wide and 14 in deep. My hotel is filled with twigs, small branches, logs, bark, dried leaves, hay and 6 inch long hollow phragmites stems. The insect hotel has held up well with all the rain. 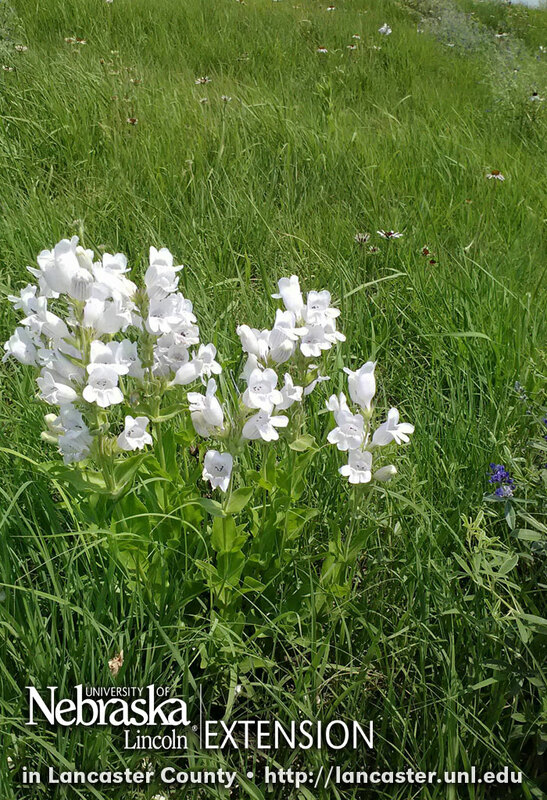 I have many flowering plants in bloom now, plus my herb and vegetable gardens are nearby too. I am hoping that my insect hotel will be filled with beneficial insects soon. Did you know? One of every three bites of food is attributed to the work of bees and other pollinators. Our river rock erosion control is working!!! Now that we have one side of the erosion issue managed, we’ll work on the other water problem area. We went to the EcoStore today and shopped around for some supplies for our insect hotel. We didn’t find what we needed today, but we’ll be back. We did find some paint suitable for covering up our old metal satellite dish post in the back. It is high quality enamel paint specifically for tractors/implements – Ford Blue. Blue isn’t our first choice, but this will be a base color – we have some artsy plans for the post. MJ scored 500 free bricks for the base of our insect hotel. We’ll pick those up on Saturday. We hauled in soil, we packed in eroded areas, we created a berm…. and then it rained, and it rained and it rained some more. Now for those of us in Nebraska, this is something we aren’t used to in recent years. We’ve been in a very stubborn drought. Thankfully, in a few short weeks we’ve swam out of the drought – our ponds are full and fields are green! The only negative has been progress on our project. The rain amplified some of the issues with erosion and runoff from the building. We called on Tom Franti to take a look at what we were facing before we moved forward. Tom is the Extension Surface Water Management Specialist at the University of Nebraska-Lincoln. 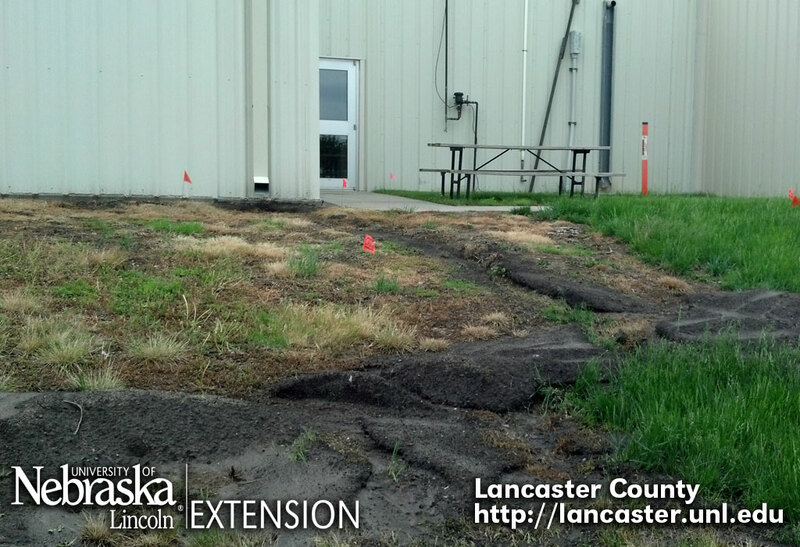 When Tom visited our site, he determined very quickly that we would not be able to install a rain garden. The slope from the building to the creek was too steep and our berm would never be able to hold the water back with the amount of water coming off the building. The soil was also not conducive to a rain garden. Tom also told us he does not recommend putting a rain garden over any utilities. Our site is full of flagged utilities with the exception of just a few places. We have a tough situation.